"NitroMemantine brings the number of synapses all the way back to normal within a few months of treatment in mouse models of Alzheimer’s disease. In fact, the new drug really starts to work within hours." The first experimental drug to boost brain synapses lost in Alzheimer’s disease has been developed by researchers at Sanford-Burnham. 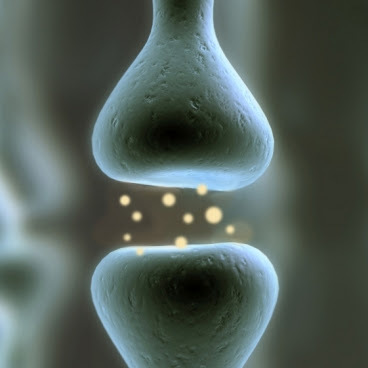 The drug, called NitroMemantine, combines two FDA-approved medicines to stop the destructive cascade of changes in the brain that destroys the connections between neurons, leading to memory loss and cognitive decline. The decade-long study, led by Stuart A. Lipton, M.D., Ph.D., professor and director of the Del E. Webb Center for Neuroscience, Aging, and Stem Cell Research, who is also a practicing clinical neurologist, shows that NitroMemantine can restore synapses, representing the connections between nerve cells (neurons) that have been lost during the progression of Alzheimer’s in the brain. The research findings are described in a paper published by the Proceedings of the National Academy of Sciences of the United States of America (PNAS). The focus on a downstream target to treat Alzheimer’s, rather than on amyloid beta plaques and neurofibrillary tangles—approaches which have shown little success—“is very exciting because everyone is now looking for an earlier treatment of the disease,” Lipton said. And that means that an Alzheimer’s patient may be able to have synaptic connections restored even with plaques and tangles already in his or her brain. In their study, conducted in animal models as well as brain cells derived from human stem cells, Lipton and his team mapped the pathway that leads to synaptic damage in Alzheimer’s. They found that amyloid beta peptides, which were once thought to injure synapses directly, actually induce the release of excessive amounts of the neurotransmitter glutamate from brain cells called astrocytes that are located adjacent to the nerve cells. Normal levels of glutamate promote memory and learning, but excessive levels are harmful. In patients suffering from Alzheimer’s disease, excessive glutamate activates extrasynaptic receptors, designated eNMDA receptors (NMDA stands for N-methyl-D-aspartate), which get hyperactivated and in turn lead to synaptic loss. Lipton’s lab had previously discovered how a drug called memantine can be targeted to eNMDA receptors to slow the hyperactivity seen in Alzheimer’s. This patented work contributed to the FDA approval of memantine in 2003 for the treatment of moderate to severe Alzheimer’s disease. However, memantine’s effectiveness has been limited. The reason, the researchers found, was that memantine—a positively charged molecule—is repelled by a similar charge inside diseased neurons; therefore, memantine gets repelled from its intended eNMDA receptor target on the neuronal surface. In their study, the researchers found that a fragment of the molecule nitroglycerin—a second FDA-approved drug commonly used to treat episodes of chest pain or angina in people with coronary heart disease—could bind to another site that the Lipton group discovered on NMDA receptors. The new drug represents a novel synthesis connecting this fragment of nitroglycerin to memantine, thus representing two FDA-approved drugs connected together. Because memantine rather selectively binds to eNMDA receptors, it also functions to target nitroglycerin to the receptor. Therefore, by combining the two, Lipton’s lab created a new, dual-function drug. The researchers developed 37 derivatives of the combined drug before they found one that worked, Lipton said. To date, therapies that attack amyloid plaques and neurofibrillary tangles have failed. “It’s quite disappointing because I see really sick patients with dementia. However, I’m now optimistic that NitroMemantine will be effective as we advance to human trials, bringing new hope to both early and later-stage Alzheimer’s patients,” Lipton said. Learn more about Alzheimer's and Dementia in the Alzheimer's Reading Room.